So I decided while I waited for the first undercoat to fully dry that I needed some final scratchbuilt details on the SU-122. 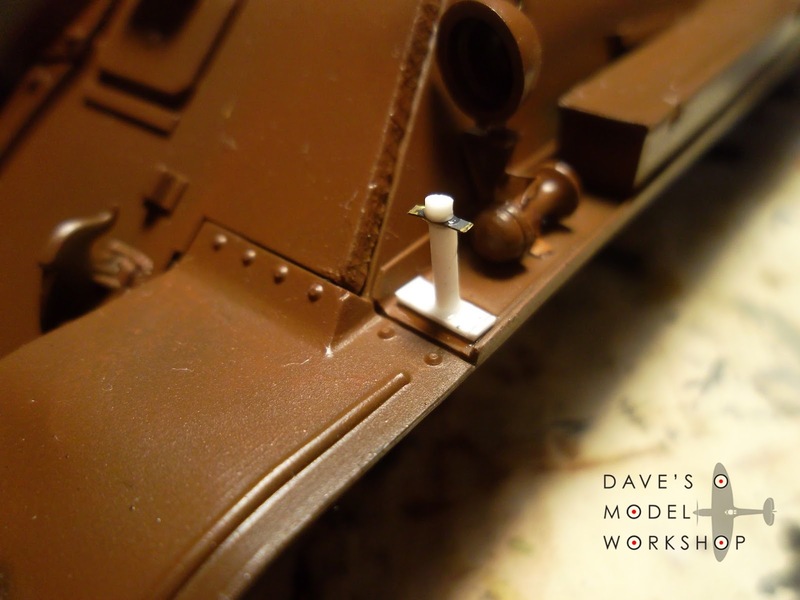 First off: proper grab handles on the external fuel tanks, made from leftover photoetch sprue. just cut off a piece of the photoetch surround from a previous job, and bend it to a grab-handle. 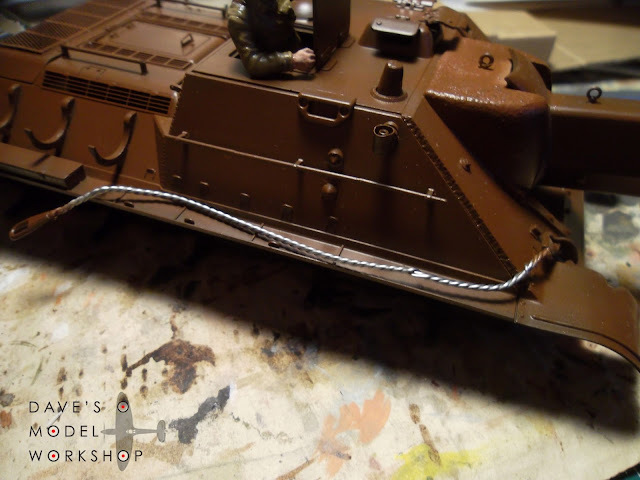 Second: a wire tow cable to replace the really dodgy ones which came in the kit. 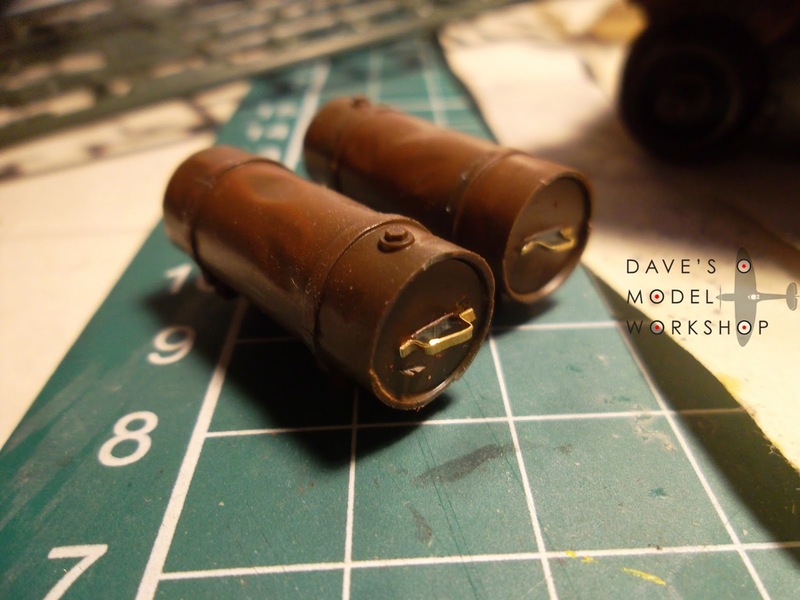 A future video tutorial will show you how I made these. Finally: a mounting bracket on the front fender for towing clamps. Click here to visit my Patreon page and join The MOD Squad! What next for the SU-122 tank?